With the help of online marketing and social media platforms such as LinkedIn, Facebook, Twitter and blogs, financial advisors are creating and cultivating personal brands to build better and meaningful relationships with current and potential clients. 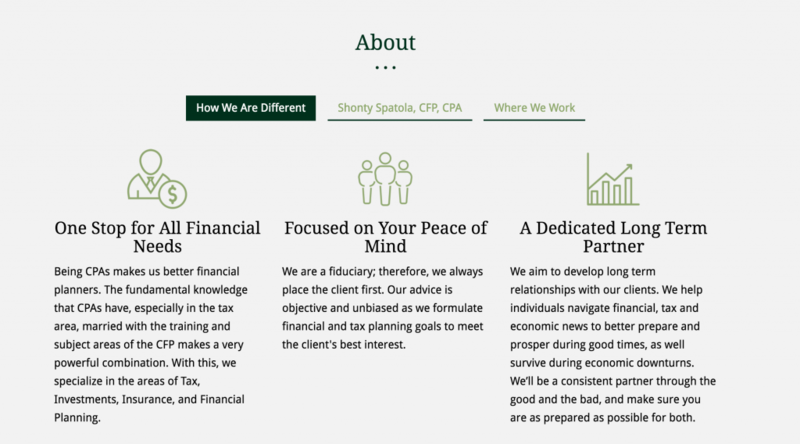 At Twenty Over Ten, we help financial advisors with their online marketing by creating modern, responsive websites that serve as the hub for all further online engagement. In this industry, it can be easy for financial disclaimers and language to overpower the character and passion of an advisors’ brand. By utilizing blogging and social media (which tend to be more informal modes of communication), advisors can further showcase their personality and in turn build trustworthiness and authenticity with prospective clients. Think about what you do when someone refers you to a business, service, or product – 9 times out of 10 the first thing you’ll do is a quick Google Search. We all do it, and your business is no different. Therefore your website and other online pages should perfectly represent you – who you are, what you do, and who you do it for. What do people find when they search for your business? Keep this in mind as you craft content and your complete online presence (website, blog, social media pages and other listings). Ask friends to give you honest feedback on your current landing pages and online marketing efforts – do the words, phrases and visuals you are using leave people with the impression you hope to convey? According to Thinkadvisor, one in five advisors added a new client as a result of their social media marketing efforts. It is also important to have a robust online presence because there are many potential clients searching the internet for answers to their financial questions. Clients may even first discover your firm on a social media platform before discovering your website. A strong online presence is a great investment for your business and helps build rapport. 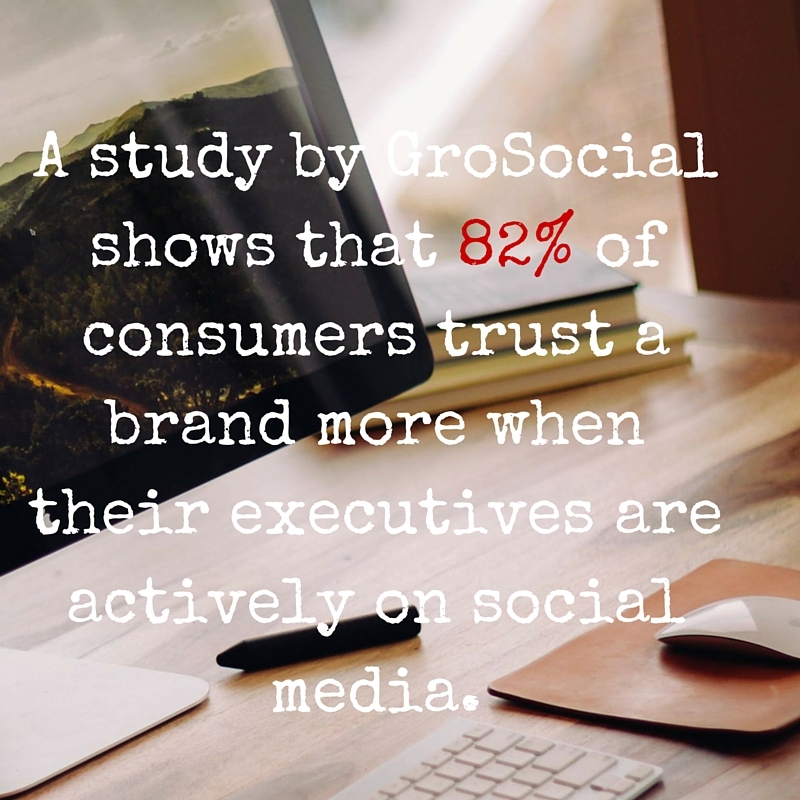 A study by GroSocial shows that 82% of consumers trust a brand more when their executives are actively on social media. Keep in mind some of your potential clients may have little familiarity with financial terminology. The financial jargon that is found on websites can isolate a potential client; be sure that when talking to a client about their wealth management or retirement (whether in person or online) they fully understand the message. We suggest trying to write in a more conversational tone – write like you talk, and your unique voice will have an easier time converting to the page. In a Financial Planning article, Steve Sanduski discusses how simple language can be beneficial if used in an inspirational ways. Think about your own daily interaction with websites, blogs, and social media. How much reading do you do where you actually read every single sentence and word on the page? More than likely, you first quickly scan to see if the content is interesting or relevant, than you may go back and read certain areas in greater detail. An Eye-Tracking Study completed by Nielsen showed that we do not read full pages on websites, by rather we quickly scan for information. 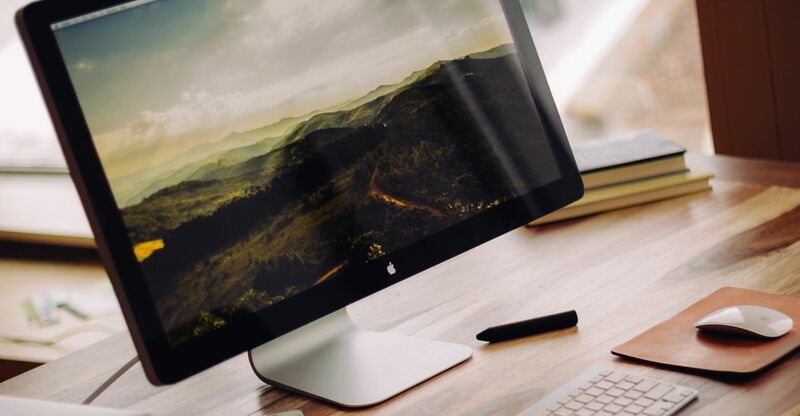 Likewise, research has shown that the large majority of visitors to your website, blog or other content are not going to stay on the page for more than a minute or two. You have just a few seconds to make an initial impression, so the more concise and easy-to-scan (using headers, icons, etc) you can craft your message, the more likely you are to successfully get your message across. Using icons and header tags on your website is a great way to help your site visitors easily scan your website and find the information they are looking for. Especially on social media, it is important to be authentically you and stand for your values. This personal connection helps you build trust, as well as differentiate yourself from everyone else. After advising hundreds of financial advisors on their online presence, as well as analyzing our own own social media marketing, we have found that many of the best performing posts are ones that share personal information, photos of the team, or behind-the-scenes stories. We tell our clients “Share a story about a trip you recently went on, or the background behind your firm’s name, or a cute photo of your family on a hike over the weekend” if you want to increase engagement. 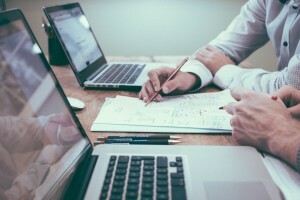 The role of the financial planner is very unique in that the people you serve are in a very vulnerable spot – they are revealing some of the most intimate details of their lives to you (how much they earn, how much debt they have, etc) yet often they know very little about you. By sharing some of your own personal information, you will develop a deeper rapport with those you serve, which in turn, will allow for a fundamentally stronger relationship. All of that being said, even though much of this rapport-building and sharing can be done on blogs and social media, however there are some things that are best left to one-on-one conversations. 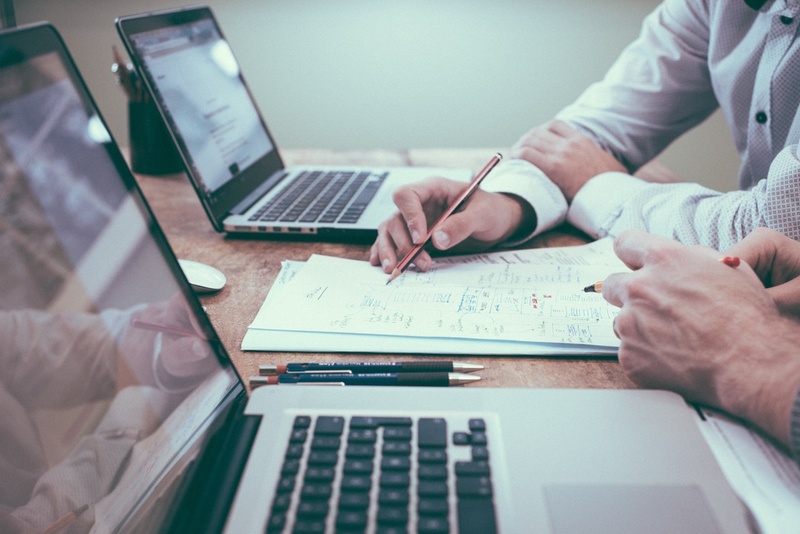 The particular best approach to stay compliant will depend on the structure of your firm (and if you are part of one, on your Broker-Dealer’s rules) however there are a few simple rules everyone should keep in mind. Don’t make any recommendations via platforms such as Twitter and LinkedIn. Do make sure to archive everything. Do incorporate the proper disclaimers. The benefits by far outweigh the risk when producing and maintaining an online presence. If you need additional help navigating the world of blogging and social media as an advisor, you can check out our Social Media Services. (only available to Twenty Over Ten website account holders).